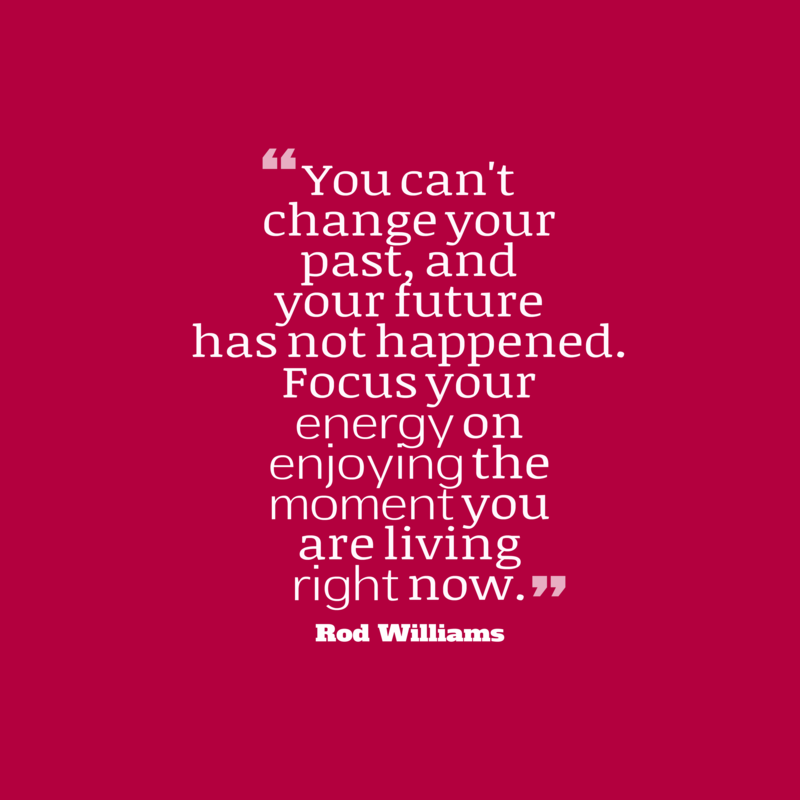 Rod Williams quote about life. You can't change your past, and your future has not happened. Focus your energy on enjoying the moment you are living right now.